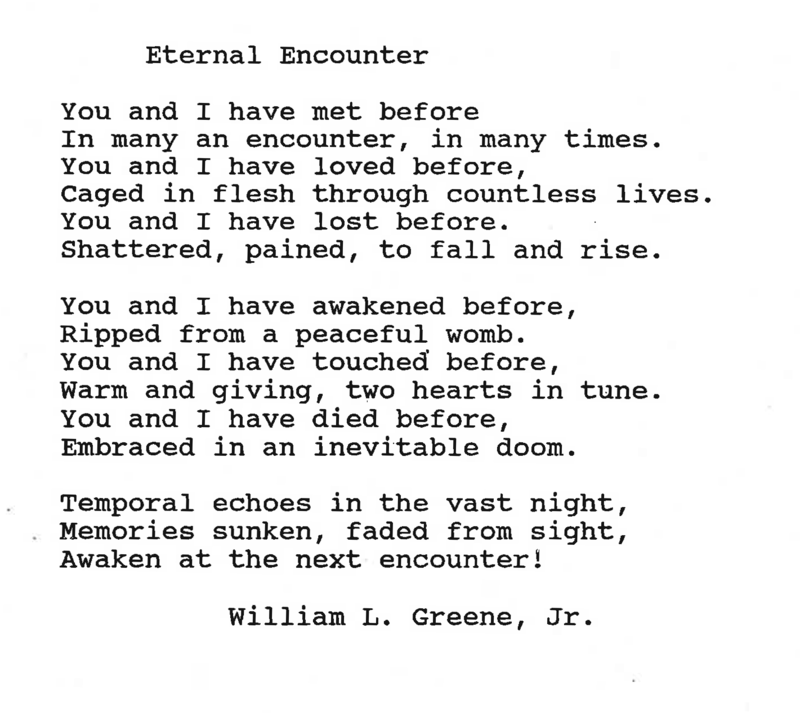 “Approaching God,” “Eternal Encounter,” and “Life Cycles” by William L. Greene, Jr. 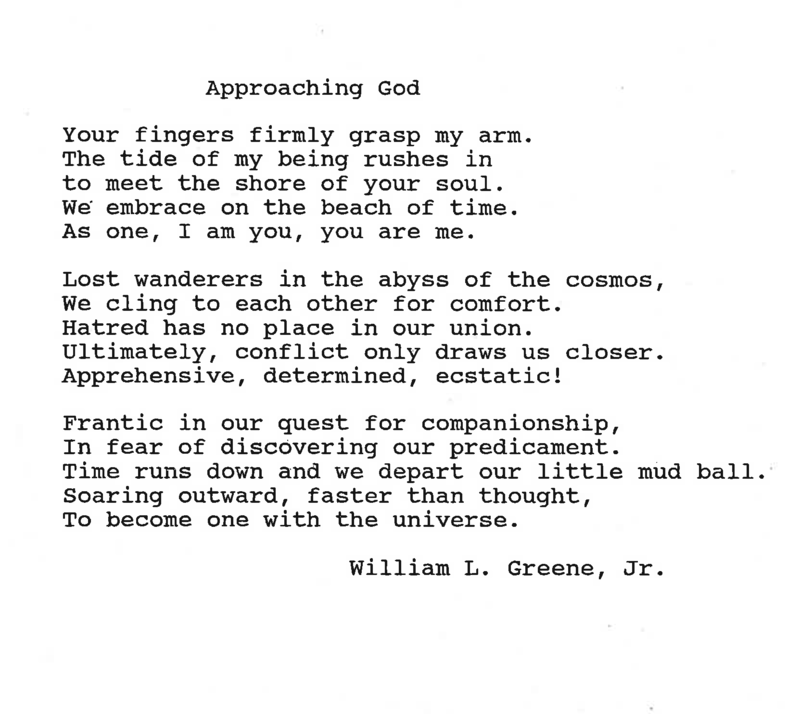 Submitted by William L. Greene, Jr., , or Bill as we know him, was an Access Services Specialist at Falvey Memorial Library and he submitted several of his own poems for our Advent calendar. Submitted by Rebecca Whidden. Becky Whidden was an Access Services Specialist at Falvey. She shared this poem with me when she heard about the poetry Advent calendar. I love this little poem. The poem is lacking in punctuation or rhyme, which makes it fairly ambiguous and open to the reader’s interpretation, which makes it a favorite among high school English teachers who in my experience have used it as a springboard for discussing meaning and interpretation in poetry. In some ways it is a Rorschach test with words. At face value the poem is extremely simple, evoking the banal domestic image of a note left out on a table. However upon reading it, I personally can’t help but feel the sensual nature of the poem. The intimacy of a private note meant only to be shared between two people; the word choices – “plums,” ‘icebox,” “forgive,” “delicious,” “sweet” – something about the way these words feel when when spoken carries a richness that arouses the senses in complex and beautiful ways. Submitted by Sarah Wingo, Falvey’s subject librarian for English literature and theatre. We couldn’t very well have a library advent calendar and not have a poem about libraries. I ran across this one just the other day and fell in love with it, I hope you enjoy it too. “Library” by Scroobius Pip was originally commissioned by Chris Hawkins for BBC 6 Music’s celebration of libraries and performed live on his show in November 2014. We haven’t provided the words for this poem because it really is as much performance piece as it is poem, and even though the video is just words on a screen as they’re being spoken, it is worth a watch. Did It Rain In Galilee? Holy Virgin do you delight in the rain? Our heavenly Father sets the waters to move. The waters are good and bring life from the earth. They are there in the six days of Creation. They are there when the earth was flooded. Theotokos, do you delight in the rain? Through your son, your only child, all things were made. Did you weep with joy in Nazareth? Did you weep with sadness in Jerusalem? Rachel wept for her children. Do you weep now for your children? Did you weep with joy in Bethlehem? Did you weep with sadness in the cave made into a stable? 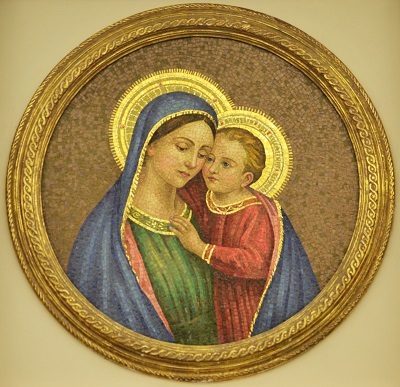 Queen of heaven and earth do you weep tears of myrrh? Did you watch the Son of Man play in the rain as a child? Were tears of sadness there because your spirit was pierced by a sword? Were your tears at the foot of the cross mixed with the rain over Jerusalem? Were they tears of myrrh? All of Creation was reborn when your son rose from the dead. Turn your eyes of mercy towards us. It is a paradox to reason and a cause of delight. It is the peace which passes all understanding. Parents weep with joy for they discover the blessings of children. They weep with sorrow when they see their children eaten up by pride and hate. The children fight over nothing. Mix your tears with the rain. How could they know deliverance would come? Who is it that is weeping in Babylon? From your life did one nature unite with another? The Lord knew each one of us. The one, true, and living God foresaw the one full of grace. God the Father did know a new Eve would come into the world. You are the fruit of a marriage both unitive and procreative. You are the Immaculate Conception. Because, while altogether human, sanctifying grace did you regain. But the merit of your son’s agony and triumph was granted you when you were created. Immaculate Mary, the Holy Spirit is in every fiber of your being. You were and are forever without sin. No disobedience can ever exist. Free obedience, born from charity, is the blessing of life in Christ. He did not think even divinity a thing to be grasped. You are there on holy ground. There where wanderer, shepherd, and murderer comes face to face with He who is. To the consubstantial trinity of divine persons, who with one voice say “I AM,” you guide us. You are the beacon from which heavenly light from the Image of the Father shines. The Lamb of God who takes away the sins of the world is the everlasting light. You are the ark of the new and everlasting Covenant. Your son is the fulfillment of the Law and the Prophets. It is through you that the Alpha and Omega chose to assume humanity unto Himself. He is the source of all that is. When we follow in your train, we see the blessed Vision of the deity, face-to-face. Written humbly, you forever point us back to the Father, Son, and Holy Spirit. Submitted by: Sarah Wingo, subject librarian for English literature and theatre. “The Lady of Shalott” was written by Alfred, Lord Tennyson around 1832 and then published in slightly varying forms in 1833 and 1842, and is loosely based on the Arthurian legend. 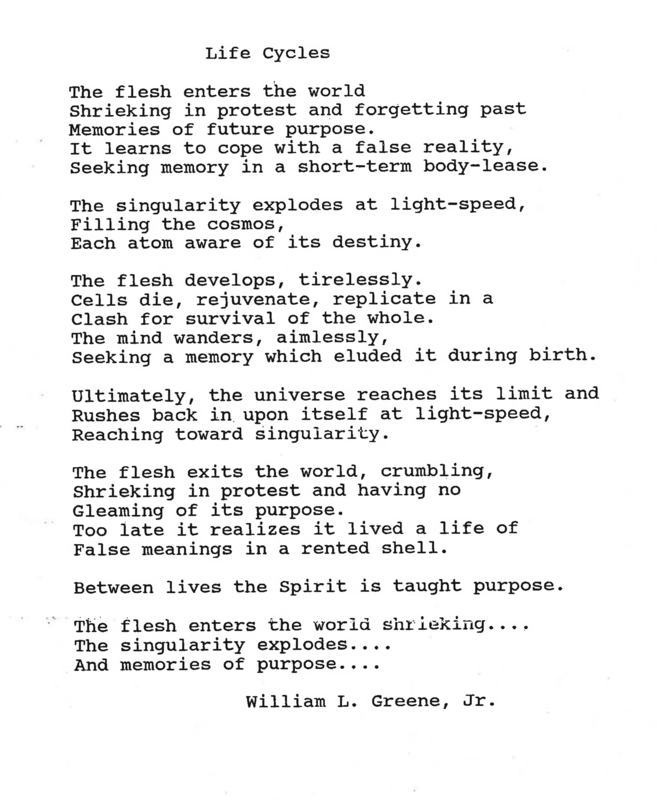 I chose to share this poem because it is one of those pieces of literary cultural currency that, at least for me, crept into my general awareness at a very early age. My first encounter with“The Lady of Shalott” was through another piece of literature altogether in Anne of Green Gables, both the book and then again in the 1980’s television mini-series starring Megan Fellows. I also have vivid memories of my father playing Loreena McKennitt’s hauntingly beautiful adaptation, which is on her 1991 album The Visit. Later in school I would encounter Tennyson, “The Lady of Shalott,” and his other poems in a far more academic contexts, but as is often the case it is my earliest experiences with “The Lady of Shalott” that secured its place in my heart. Kallie Stahl is a second-year communication graduate student who joined the Falvey Scholarly Outreach team as a Graduate Assistant at the start of the fall 2014 semester. She now works for the Communications and Marketing Dept. Kallie is a big Sylvia Plath fan and explained that she has always liked the way that this particular poem addresses the struggle between the fantasy and the reality of love. Plath wrote “Mad Girl’s Love Song” in 1951, while she was a student at Smith College. It was first published in the August 1953 edition of Mademoiselle, where Plath was working as a Guest Editor. Gerald Dierkes is an information services specialist, and one of three Falvey staff members to submit one of their own poems for the Advent calendar. With this final post I would like to thank everyone who has followed along with our Advent calendar as we made our way towards Christmas, my colleagues for contributing their favorite poems, especially my colleagues who bravely shared their own beautiful work with us, and our graduate assistant Michelle for working with me to get each one of these posts up on our blog. I hope you enjoy our final poem, written and read by Gerald Dierkes, a reflection on trust. to learn of Mary’s unplanned pregnancy? so soon after your commitment to each other? by Mary’s joy in anticipating her child’s birth? as you accepted responsibility for her child? by your neighbors in your small community? _____Why didn’t God arrange things differently? _____Why didn’t God time things differently? did you think, What gives, God? I’m trying to follow your will, aren’t I? without her mother, without a midwife, with only you at her side. Mary did give birth, and God’s Son was born into our world. _____Why didn’t God plan things differently? causing your father, Jacob, and Mary’s mother, Ann, to wait years before seeing their grandson. _____Why didn’t God do things differently? Did you expect God’s will to be predictable, logical (by human standards), and non-challenging? Did you ever pause, in your struggle to trust God, to consider how much He trusts you? Laura Bang is Falvey’s Digital and Special Collections Curatorial Assistant, and she is found this wonderful historical poem to share. This poem comes from page 2 of the first issue of The Villanova Monthly, from January 1893. The Villanova Monthly was the first student newspaper, running from 1893-1897. Returning after a hiatus in 1916, the paper was renamed The Villanovan. Melanie Wood is Falvey’s Academic Integration Technical Specialist. This poem is, to me, a simple and sweet reminder to take notice of and appreciate the beauty of the little things in life. I too like Emily Dickinson very much, and I’m pleased to share this poem on our advent calendar.